In case you are a hardware QWERTY keyboard junkie, and happen to live in the United States, we have some good news for you. 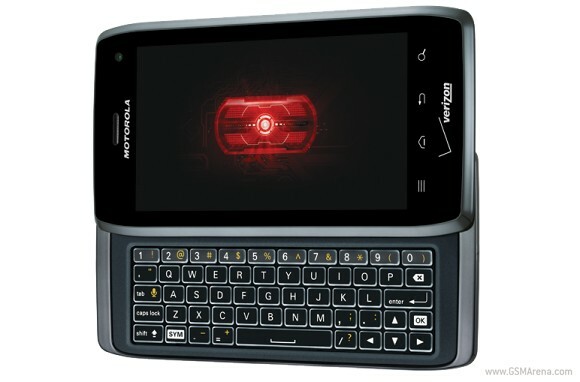 Motorola's latest Droid 4 smartphone, featuring a slide-out hardware keyboard is now available for Verizon Wireless. The RAZR styled handset packs an the edge-lit, laser-cut QWERTY keyboard, which sound like a perfect addition to its spec sheet. The latter includes a dual-core CPU, LTE radio, 8MP snapper, 4" qHD screen, and Android 2.3.5 Gingerbread. You can find the device's full specs, along with our early hands-on impressions here. The Motorola Droid 4 will cost you $199.99 with a two year commitment. In case you don't like contracts, prepare to spend $549.99. And by the way, Amazon Wireless is already offering the device with a hefty discount. The Droid 4 is priced there at the highly acceptable $99.99 with a contract - a seriously sweet deal for the best Android QWERTY available at the moment. is it perfect replacement for nokia n900?? ?